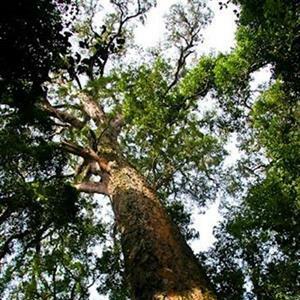 The tall forests of the Outeniquas, the Tsitsikama, and the Transvaal Drakensberg are the very cathedrals of nature. Giant yellowwoods rise like soaring domes above lofty vaults of green foliage and a hallowed stillness reigns in the twilight below. Reality fades away as puny man reaches up to these forest giants and tries to encompass the fact that many of these same trees could have been eight hundred years old or even more when Jan van Riebeeck landed at the Cape – the oldest living links with a distant past. that. In the trunk the fibres stand up straight, with their long axes parallel to that of the trunk. These fibres are composed mainly of cellulose, and are cemented together by a substance known as lignin. The cemented fibres are sometimes so densely united that even a sharp axe will sing off them. In other woods they are so soft and light that they can be compressed like a sponge between the fingers. oaks, ironwoods and thorn trees, vessels are found between the fibres. These vessels follow on each other vertically, and so form long tubes in the stem: the vessels that conduct water in these trees. The storage tissue, also known as parenchyma tissue, is found between the fibres of the hardwood trees and between the tracheids of the softwood trees and consists of thin-walled cells in which nutrients are stored. The rays are the only tissues which do not run parallel to the stem, but at right angles to it – horizontal in a growing tree. The horizontal arrangement of the rays is necessary because their function is to transport nutrients from the outside of the trunk to its middle. All these elements and tissues, arranged in an orderly manner in a variety of characteristic combinations, together form wood. Each wood species has its own characteristic arrangement of component parts, and by studying these arrangements, it is possible to identify the wood. wood are arranged in a straight and parallel fashion, or in a wavy fashion, or spirally in relation to the stem, or alternately spiral, so that a crossed grain is formed. 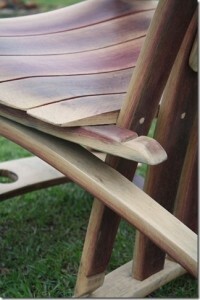 It is also used to describe the texture of the wood, fine or coarse. All sorts of combination of direction of grain and of texture are found, such as a wavy, fine grain, or a straight coarse grain. Wood has the most beautiful colours: green, dark yellow, dark purple. Some sorts of wood are nearly pure white, others pitch black, but brown shades are the most common colours. Wood often has a wonderful sheen which gives the impression that one is looking into the wood, and not at a flat surface. Small wonder that marquetry, in which wood of different colours are used, is such a popular hobby, an art, indeed. The creations of a talented marquetry artist are amazingly beautiful, for he uses not only the colours of the wood, but the textures as well. Although wood may have so many different colours, they never seem to clash, with the result that furniture of different woods may be used in one room. And wood colours never clash with the colour scheme of a room. 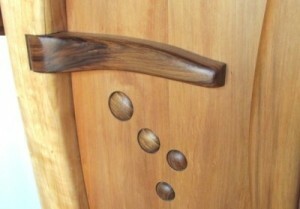 Perhaps this is the reason that interior decorators so often use wood freely in their designs. grain forms an eye around it; if there are a number of small knots, one sees the well-known bird’s-eye pattern. If a particular kind of wood has definite growth rings, and a board is sawn from it at a slight angle, the usual pattern is a series of pointed flame-like figures which fit into one another. Wavy grain shows up on a radically cut board as a series of oblongs, alternatively light and dark as they reflect the light. 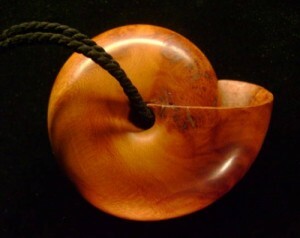 Wood with crossed grain has a striped pattern often seen in sapele furniture. Wood with wavy parenchyma bands show the well-known partridge-feather markings seen in partridge wood, and often very clearly in kiaat. 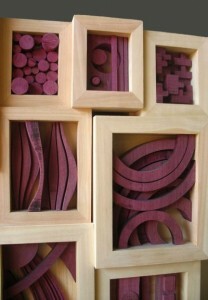 Dapple figure, consisting of more or less rounded patches and contrasting darker patches, is another example of figure in wood. 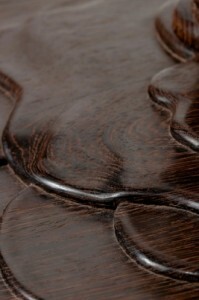 Figure is one of the most attractive attributes of wood – we even try to imitate it in other materials. An example is wallpaper, sometimes a very effective copy of wood-panelling. Many synthetic materials used to cover tables, counters, and also wall panelling and floors are made in a wood-grain pattern. Fibre-board which consists of compressed wood fibres, are sometimes given “grained” surfaces. 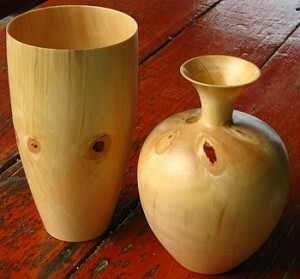 Figure is a characteristic found only in wood – no other natural substance has it. It is something of which one never tires, which constantly delights one. One sees something similar in the mineral world: the beautiful markings of semi-precious stones such as tiger’s eye, cat’s eye and agate. The most beautiful things are truly of nature’s making. 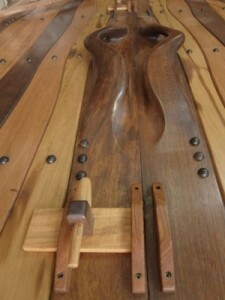 Artists are often inspired by the figure in wood. Proof is the wonderful woodcuts and wood sculptures in which the natural lines of the figure has been followed … the results are without exception unique and inimitable. The main reason why wood is so popular, is its workability: it can be cut, cleaved, sawn, planed, chiselled, scraped, filed, scoured, nailed, screwed, bolted down, glued, painted, varnished, stained, polished and finished. It can be broken down into chips, and pulped, and its fibres can be reconstituted in other forms. But there is one important thing to remember. When wood is used in its solid form, for instance as boards for furniture, or for any other purpose, it must be properly and carefully dried. Seasoning is the most critical process in the conversion of wood. One has to bear in mind always that wood is a vegetable substance which, in its green form, contains a large amount of moisture which has to be removed before it can be used. The care with which the moisture is removed is of the greatest importance, for wood shrinks as it dries, and in the shrinking stresses originate which can warp the wood and cause it to crack and split. Controlled, expert seasoning can minimize or prevent such damage. Once wood is properly dry, and its moisture content is in equilibrium with the climate of the area, it will not be inclined to crack or warp or twist further, and then one may use it with confidence for any purpose for which wood is suitable. Wood can be sawn or planed to the desired dimensions. 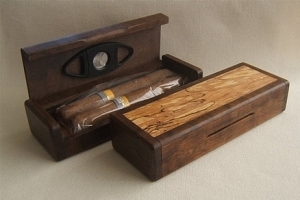 It can be fashioned to the exact shapes required: square, round, hexagonal, octagonal, grooved, half-round, rectangular with rounded edges, oval, heart-shaped, conical – any shape under the sun – but it must always be borne in mind that wood has a grain, and that where the grain is not continuous may break, because wood breaks easily across the grain. One can make rectangular or round dowel holes in wood in which other pieces can be fitted to build up a wooden structure. What material, other than wood can be so effectively and so sturdily joined with hammer and nail? What material forms its own grooves more easily when a screw is screwed into it? What material can be glued so thoroughly and easily with simple and cheap glues? And when wood is turned on the lathe, it really comes into its own. 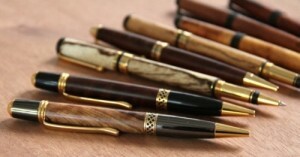 The figure and grain is exhibited in bewitching combinations, and one can create even more fantasies by joining wood of different colours and then turning it on the lathe. 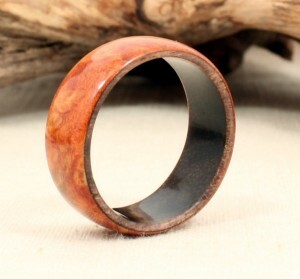 And how beautifully wood can be polished and finished! Wood can be sandpapered until it is satin smooth. Then it can be slightly dampened, preferably with a cloth dipped in boiling water and wrung out. The warm dampness causes the fibres on the surface to rise and, when the surface is again thoroughly dry, the raised fibres can be smoothed away with fine sandpaper – and only then will it be really smooth. It is a great moment for the lover of wood when he at last puts the finishing touches to his creation – oiling the wood, or applying shellac in French polishing, or finishing the article with a good varnish. Then the wood glows with colour, and when he stands back to marvel again at nature’s wonderful creation, he knows what true satisfaction is. indestructible. 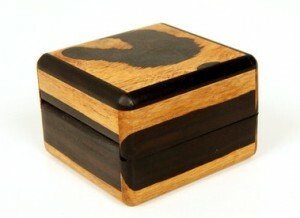 But there are more humble wooden articles that are equally amazing examples of the durability of wood. Think of the sneezewood fencing poles that have withstood for centuries the onslaught of sun, wind, decay, fungi and termites of the South African veld. Think of the thorn tree mine-props which have withstood the attack of decay fungi in the warm damp atmosphere of the mines – since the mines were opened – and which still look as if they were freshly felled. And let us not forget pieces of furniture, passed down from generation to generation. 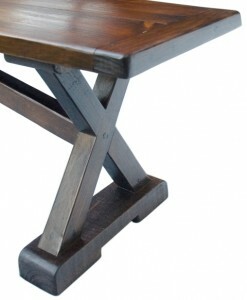 The stinkwood chairs, the riempies benches, the tables, the wagon chests of yellowwood that had trekked with a nation and still adorn the homes of proud owners – these are telling examples of the durability and the strength of wood, and centuries of use have not worn them, but indeed improved them. We do have durable wood species but the majority are not so resistant to nature’s destructive agencies. They deteriorate, some quickly, others more slowly, where termites, fungi, insects or the sun and rain attack them. Fortunately we have a remedy for that too. The porous structure of wood enables it to absorb preservatives with which it can be impregnated. The wood may be soaked in preservatives, or warmed and cooled in a bath of preservative, or the preservative may be forced into the wood under pressure. There are preservatives for use against termites, fungi, marine borers and other insects; preservatives which reduce weathering by limiting the shrinking and swelling of wood. The reduction in tension brought about by this treatment prevents the formation of surface checks and cracks and the separation of individual fibres. At the coast, where iron and steel rust so rapidly, wood provides an ideal solution to the problem. Treated wooden telephone and transmission poles are not affected by the salt and moisture-laden air. Wooden window frames and shingled roofs are further examples of the use of durable or treated wood in instances where other materials are not suitable. It may sound paradoxical that wood, a combustible substance, is often more fire-resistant in buildings and structures than metals such as steel, which does not burn. But it is a fact that thick wooden rafters and thick laminated beams withstand fire better than the equivalent steel ones. This can be explained as follows: A building may be designed with an all-steel framework and trusses. The steel beams would be relatively thin, but strong enough to support the building. If the same building were to be erected with a wood framework, trusses and beams, the wooden parts would have to be relatively thicker to withstand the same stresses of the steel. temperature at which it will lose its design strength, and it would bend and swing and give way, and the building would collapse – so constituting a grave danger to both fire-men and rescue workers. In the second building the wooden beams, columns and trusses will soon catch fire and burn vigorously, but before long the outer layers of the thick wooden beams and rafters would be reduced to charcoal. The wood would then burn more slowly, and eventually the charcoal would smother the fire in the beams. The structure would remain standing, for under the charred outer layers there is enough unharmed wood to support the building. The fire brigade can extinguish the fire and enter the building without the danger of suddenly collapsing structure. Thinner wood would of course burn to ashes, but for this too there is a solution. We have today substances with which wood may be impregnated or painted to make it fire resistant, or which will retard burning in the treated wood by smothering the flames. The fire hazard should therefore not exclude the use of wood in the construction of buildings. On the contrary, if the building is correctly designed, wood would give a more reliable framework than other materials. There are many examples of structures whose wooden frames have withstood the ravages of fires. The shrinking of wood while drying has been mentioned. 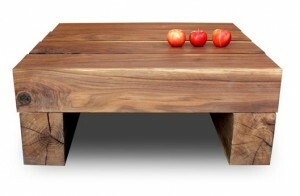 So has the use of substances which limit moisture variation in wood. But wood always retains its characteristic of absorbing moister from a damp atmosphere and swelling, or yielding its moisture to a dry atmosphere and shrinking accordingly. Even treatment with paint or varnish or oil or wax cannot completely prevent this: at most such treatment can inhibit this exchange and consequent movement in the wood. Anyone who works with wood should know of the expanding and contracting properties of wood so that he may allow for it in his designs. For all practical purposes, wood shrinks or swells perpendicular to or across the grain and not in the length. In the design of broad surfaces such as table-tops, door panels and wooden floors provision should be made for shrinking and swelling – if not, panels may crack right through or floors may form ridges. Table-tops should be attached to the framework by swivel-type fittings and should not be glued into their frames, but should be free to move, and wall paneling and floors should have hidden spaces to allow for shrinking and expansion. The unique structure of wood, with the grain running lengthwise in a plank or beam, sets it apart from most other construction materials which possess properties which are the same in all directions and none that can be compared to the grain of wood. The orientation of the structure of wood gives it a tremendous advantage over other materials as far as strength in beams and columns is concerned, both under tension and compression. It has been mentioned that when wood is used, it has to be thicker than steel for the same structure. However, if mass is taken into consideration, the picture changes a good deal, and it is even possible that a wooden structure as a whole will be lighter than a steel one of the same dimensions; the reason for this is that wood has exceptionally high strength per mass, owing to its unique structure. He, who does not know the good smell of wood, has missed a whole range of experiences. Smell and memory are very closely associated. The smell of a linen-kist with a camphor wood lining may suddenly evoke images of a long-lost childhood. The smell of kiaat will remind a middle-aged man of his school-days, of the laboratory benches, and the smell of imbuia will remind a weary mother of the first furniture she bought for her home as a bride. Each and every kind of wood has its own smell. Some have a strong smell – the Clanwilliam cedar, tamboti, sneezewood and ironwood – the smell of others if fainter but still unmistakable – white alder, stinkwood and kiaat. Even the homely pine has a smell of its own, clean and fresh. The smell of freshly cut pine, when the logs speed through the great saws in the mill, is a special joy to the sawyer. When the Cape beech or the leadwood logs glow in the fire-place, and cosy warmth spreads from the hearth, one’s thoughts roam over the many uses of wood. The fire-light flickers over the furniture and gleams on stinkwood and tamboti. The pages of a book rustle softly – here too is wood. A wood figurine comes alive as its shadow dances behind it. The fire-light gleams on the rounded whorls of turned ornaments. The roof creaks as a shingle settles to rest on a rafter, and one knows that wood, the versatile, is truly part of our lives. Source: “Wood: Its character and characteristics” by C.P. Kromhout, “Our Green Heritage – the South African Book of Trees”, edited by W.F.E. Immelman, Professor C.L. Wicht and D.P. Ackerman. Click here to use the website Contact Form. NOTE: I share premises with NST Construction. Click here to visit us at our Facebook page. Website & Content Copyright 2017 Knysna Woodworkers. All rights reserved.